You might recall that School of Ants is a citizen science program based at North Carolina State University (earlier post). Last week I received the kit in the mail. Each kit comes with four vials with blue caps, four vials with red caps and one large tube with an orange cap. 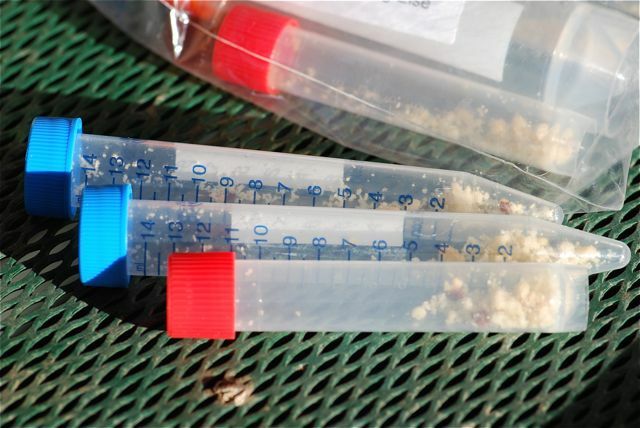 The red and blue-capped vials come baited with cookie crumbs and are to be placed in specific setting. The orange-capped tube is for anything else you would like to have identified. 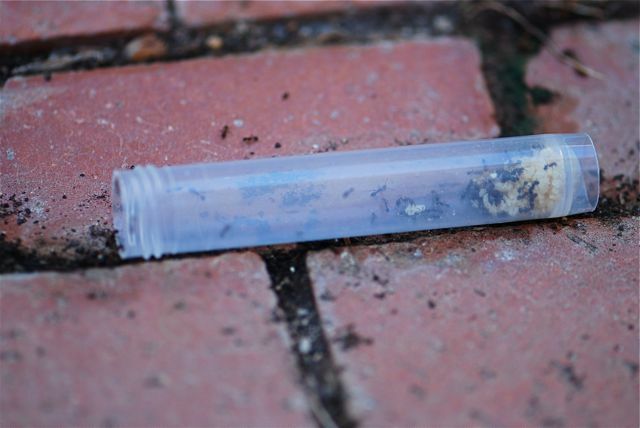 The next day I placed the open vials outside as directed. 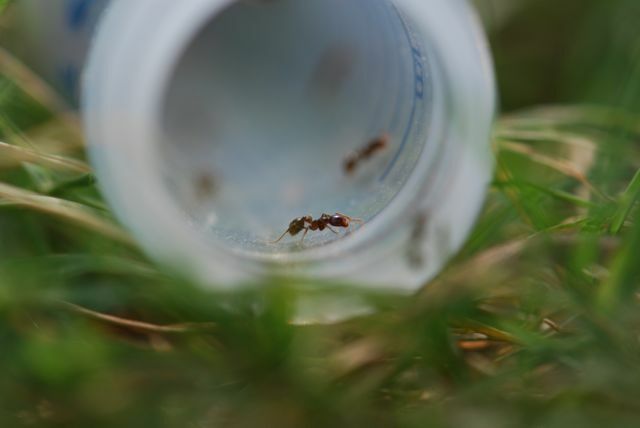 The southern fire ants were happy to cooperate and soon were carting away bait. I thought this was a perfect opportunity to learn more about ant ecology. 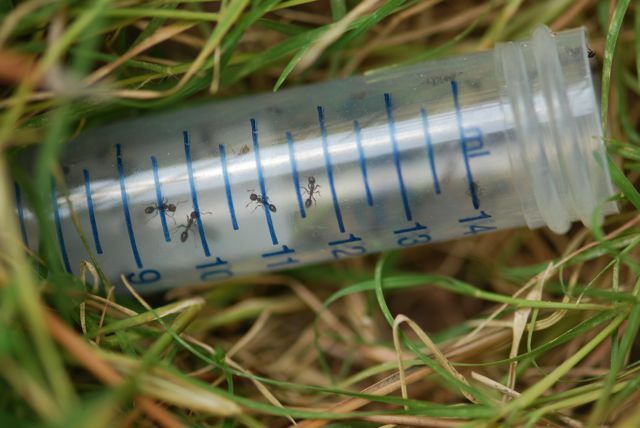 In this case the southern fire ants found the baits quickly, and were also defending. They definitely fit the definition of extirpators. 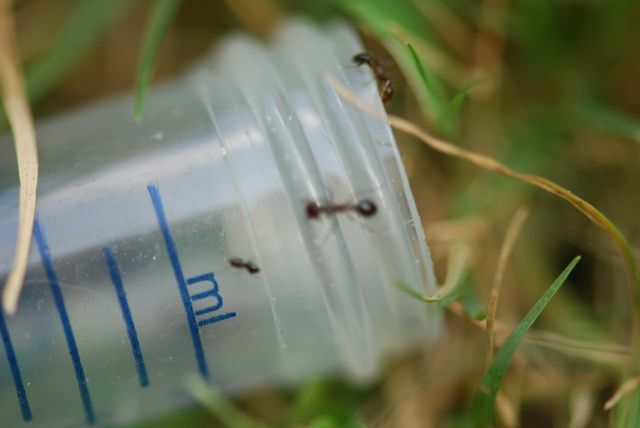 What about the tiny rover ants that are also found in the yard? Are they small enough to be insinuators? Notice the rover on the top of the vial? Those are fire ants on the rim. Will the defender ignore the rover ant? No, the defender fire ant charges the rover ant and chases it away. Let’s take a look in another tube. Once again the rover ant approaches from the top. 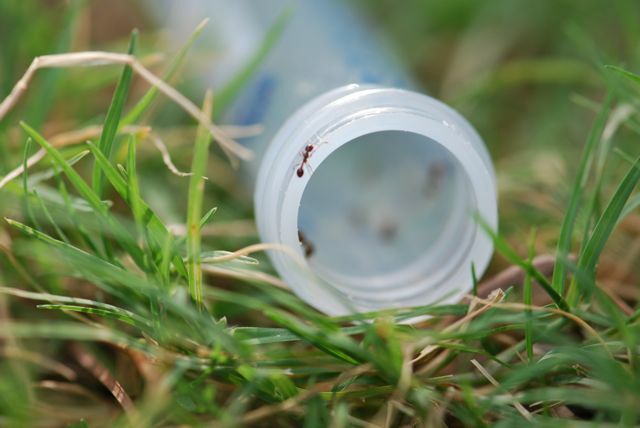 In the end, the southern fire ants were able to dominate the baits. 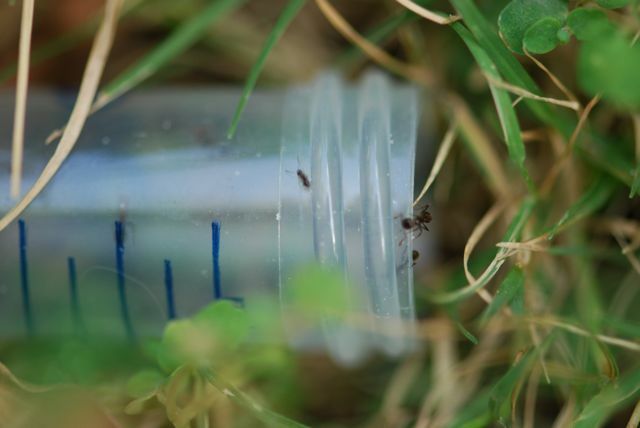 Looks like rover ants are opportunists rather than insinuators, in spite of their small size and lower numbers. 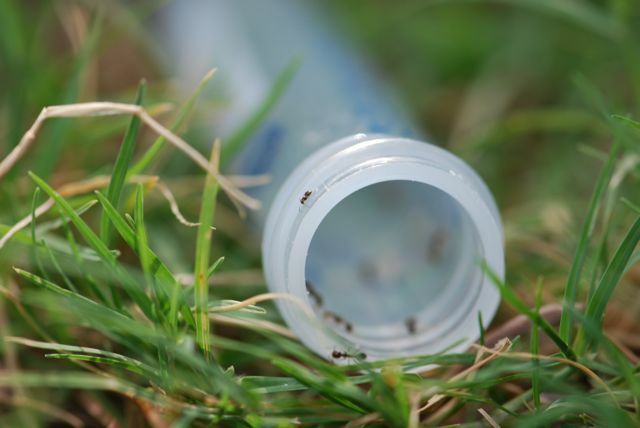 The bottom line is that baited vials are definitely useful for learning more about the ants in your area. I would recommend this project. You do need to provide an envelope and postage to send the vials back, but otherwise time is the main investment. If you decide to take part in School of Ants, I’d love to hear what you find out. Reference: Parr, C. L. and H. Gibb. Competition and the Role of Dominant Ants, Chapter 5. In: Lach, L. Parr, C.L. and K.L. Abbott., eds. 2010. 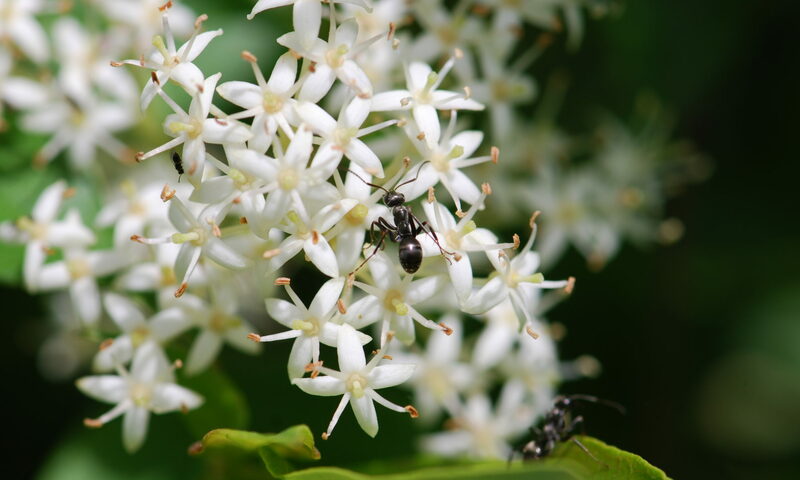 Ant Ecology. Oxford University Press, Oxford. I sent my set back the other day (although I still have the set I ordered for my girlfriend, and I don’t think she’ll be doing it…). I really look forward to seeing the results of this project. Hopefully it is a great success and they get plenty of participants. I managed to bait several different species, and even traced a line back to what I now assume is a hollowed-out section of dead branch (about 5″ in length, 2″ in diameter, on top of forest leaf litter) that appears to host a colony. Very neat. Excellent. Sounds like you have a more diverse site than I do. You got all fire ants too, huh? I put my vials out a week ago and had the same results that you did. 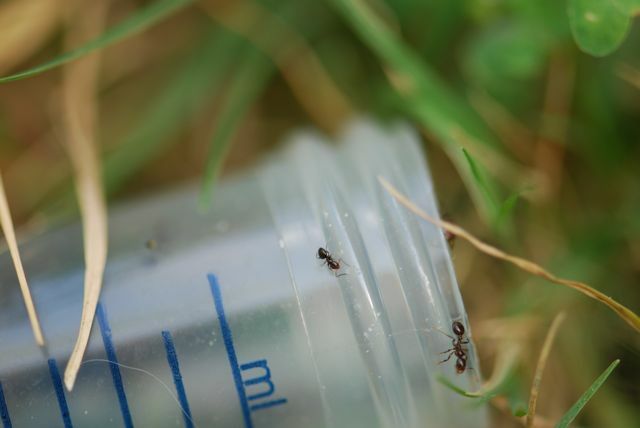 I’ve got several species of ants in my yard, but I am pretty sure all I got was Solenopsis. On the plus side, it did alert me to the fact that the fire ants were in my yard again and prompted me to drive them back out. I overlapped with School of Ants founder Andrea Lucky in Arizona a couple of weeks ago, where she gave a short presentation about the program. Apparently, they were swamped with over 500 requests for kits right after the first announcement, so, after working through all those, it looks like it will be a big success. 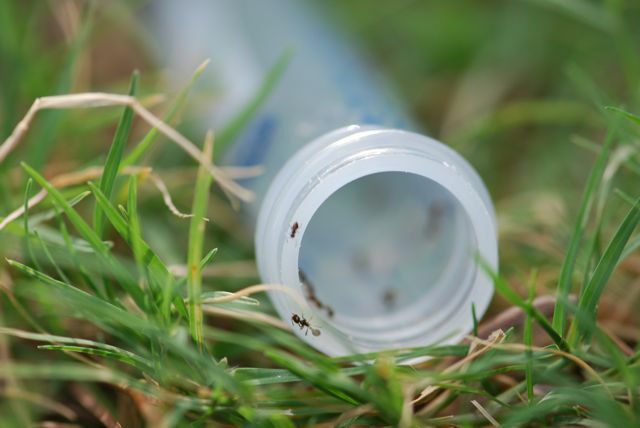 The School is also interested in knowledgeably developed lists of ants from people’s back yards, and from all over the world. (I have about 20 species in my yard in Missouri.) The plan for scientific cataloguing and specimen curation of the results is ambitious, and promises to make the project yield valuable information for years to come. 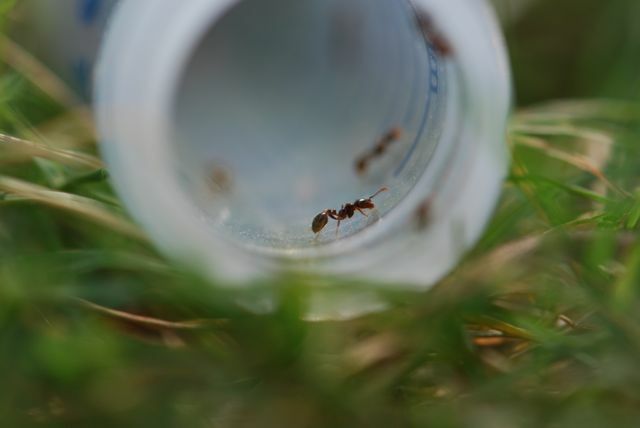 Although the Solenopsis xyloni are a literal pain right now, you have to admire their foraging abilities. You have 20 species in your yard? I am envious. Of course we have postage stamps for yards around here.